How do I rollover or start a new school year? 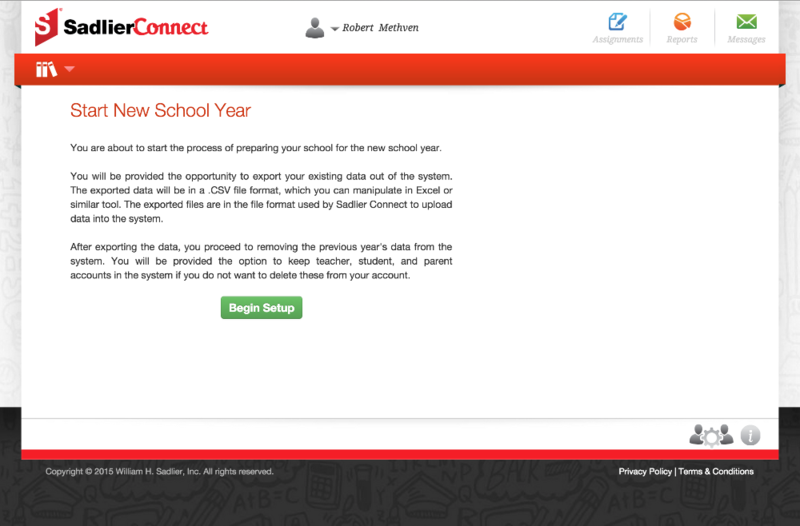 Sadlier Connect makes it easy for you to clear out your previous year's data and get started with a new school year. 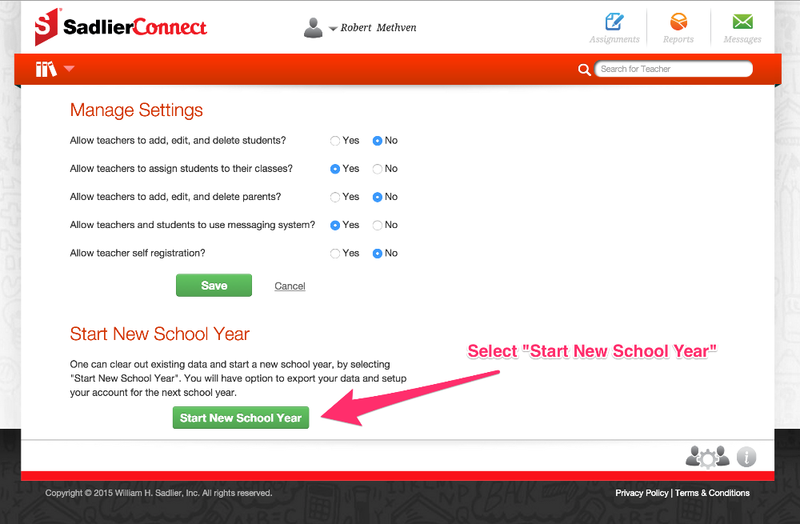 We recommend that customer's use the "Start New School Year" feature to export last year's data then start fresh for the current school year. This allows your school to concentrate on the current school year and not be hassled with prior year data. Your school administrator is in control of when this is run and it is simple enough that anyone can do it. 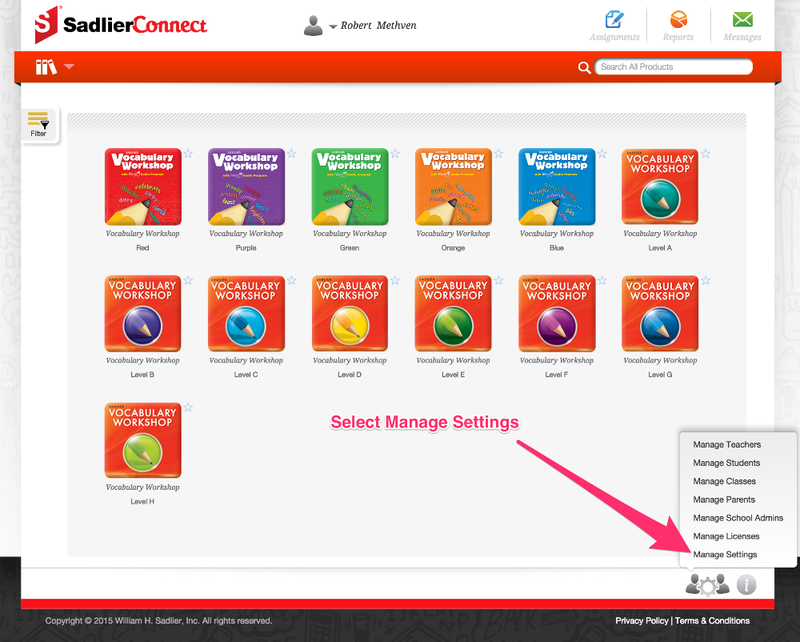 Log into Sadlier Connect with your School Administrator account. You will not be able to "Start New School Year" from a teacher account. 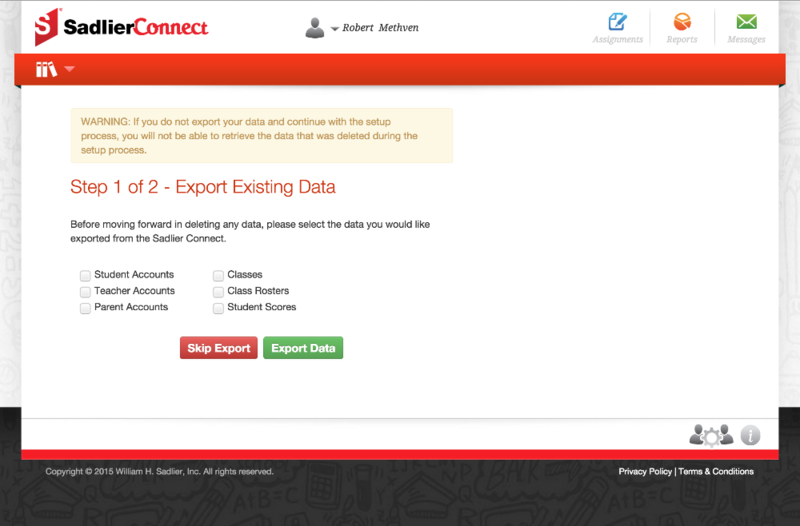 Select "Start New School Year" to begin the process of exporting then purging last year's data. You will be brought to a screen that explains the two step process. Select "Begin Setup". You will be given the option to export your existing data. This process will create exports of the data for the selected items that you can download for your records. After your data has been exported, you will select the data you want to purge from the system. The items with check marks will be removed from the system. Last year's assignments along with the student scores will be removed from the system as part of the process. You can chose whether or not your want to delete teacher and student accounts. Most customers will not purge the teacher accounts, but will purge the classes and messages for the teachers. Schools will typically delete the student account information and reload with a roster from their student information system for the current school year. Do NOT check Custom Assessments if you want to keep tests you built from previous years. Once your data has been removed from the system you may begin setting up for the upcoming school year. Start New School Year is only available to school administrator accounts. The school administrator determines when the end of year rollover / start new school year process is run. Exported data files are available for download for 14 days.